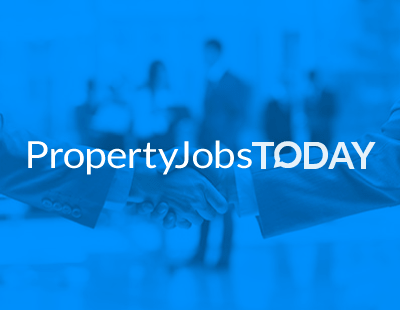 Hello and welcome to this year’s first edition of Property Jobs Today, reporting on the first industry moves of 2019. We’re told by Joshua Rayner at Rayner Personnel that this is known as Massive Monday in the recruitment sector as around one-in-five people consider moving jobs when the hard reality of a new year of work hits them after Christmas! Please let us know what you or your company is doing this year in terms of new posts - just email us at press@estateagenttoday.co.uk. First off for 2019 we have a well-known agent departing Strutt & Parker after almost two decades - Charlie Willis, the popular and enthusiastic head of the company’s London residential side, announced on Instagram on New Year’s Eve that he was leaving. “Sun going down on 2018 and my final day at S&P after 18 fruitful years there - many, many happy memories of friends made and deals done!” he wrote. He took over as Head of London Residential Agency in 2015; after joining S&P in 2000 he worked at what was then its one and only London office in Knightsbridge. Meanwhile there are new faces in there expanding Keller Williams camp. It’s currently soft-opening its new Kingston-upon-Thames market centre - a sort of strategic hub from which freelance agents can work under the KW brand - which is to be run by Pritesh Shah. He’s entirely new to agency but has 22 years experience as a management consultant working with global companies including Sony, Kraft and American Express. Pritesh will also be Keller Williams’ digital officer for the region. He will be joined in running the Kingston market centre by David Knowles, who has 15 years’ experience - chiefly in lettings - at Foxtons, Dexters and most recently Haart. Now to an online agency - and sadly some staff have been laid off by the online agency SellMyHome, set up back in 2013 by former Knight Frank agent Will Clark. The company, part of the MyHome Group, is now looking for new investment. Century Capital, which advises on property finance and financial planning, has revealed that Andreas Yianni is joining - he’s been a private banker and mortgage broker. There’s also a new case manager at Century Capital - Ben Charkham who joins from Amicus, with a background that includes time as a management surveyor at Willmotts Chartered Surveyors. Finally this week, congratulations to four trainee surveyors who have achieved chartered status thanks to support from the good people at Vail Williams. Trainee surveyors Eren Boyraz (pictured left), Tom Horton, Hugo Langlois (centre) and Jamie Mayland (right) completed the assessment of professional competence; the company funded Eren, Tom, Hugo and Jamie’s training while colleagues at the company guided them through the two-year training scheme.